and across the Catalina and English channels. A Richmond lawyer has won the Triple Crown, but her accomplishments have nothing to do with horse racing. Courtney Paulk became the 79th person in the world to earn the Triple Crown of Open Water Swimming. 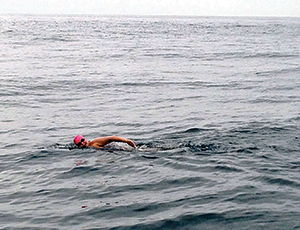 To reach that goal, participants must swim 20.2 miles across the Catalina Channel in Southern California, 21 miles across the English Channel and 28.5 miles around Manhattan. Paulk, a partner at Hirschler Fleischer in Richmond, had completed the first two legs of the three-part challenge before she completed the last swim, across the Catalina Channel, in September. Paulk trained in bodies of water ranging from a swimming pool to the Rappahannock River, the Chesapeake Bay and the coast off Virginia Beach, swimming 20,000 to 50,000 meters a week. Paulk began long-distance swimming as a child. She completed her first long-distance open water swimming event in 2003 when she swam across the Chesapeake Bay. Besides icy waters, Paulk also faced other challenges while trying to achieve the Triple Crown. In the Catalina Channel swim, a sea lion nibbled on her foot. Paulk also has encountered fish, dolphins and jellyfish during her swims. Paulk set a goal to raise $10,000 for the American Heart Association as part of the Triple Crown journey. 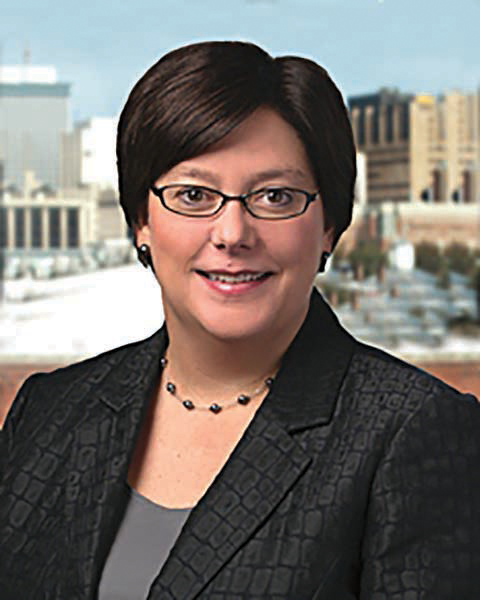 “We have a colleague here at our law firm who had a stroke a number of years ago, and she really has brought to everybody’s attention the risks associated with cardiovascular disease,” Paulk says. This year, she’s thinking about participating in the 20-mile P2P Swim, from Provincetown to Plymouth, Mass. For Paulk, however, it’s less about the accomplishment. “It is just feeling like I’ve learned a lot about myself and being so pleased to have gone through the journey,” she says.